Summer is gone, Fall has arrived, and now flu season is headed our way. The flu, short for influenza, is a highly-infectious, sometimes deadly, respiratory disease that affects up to 20% of Americans every year. There are things you can do to protect yourself, like washing your hands, and boosting your immune system by eating right, exercising and getting enough sleep. But medical professionals agree, your best line of defense is the flu shot. The Centers for Disease Control and Prevention (CDC) recommends that everyone 6 months of age and older get vaccinated every flu season. “You get it every single year because the flu strains that emerge every year can be different,” Pharmacist Dr. Kim Tran told California Life. “Every year the vaccine is different. We look at strains that are emerging in the previous years and we add that into the upcoming flu season’s vaccine to make sure you’re completely covered for everything that’s out there,” Tran said. 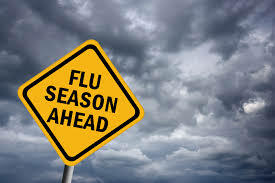 Seasonal flu activity can begin as early as October, and usually reaches its peak between December and February. The CDC says it’s best to get the vaccine sooner, rather than later, so you’re protected. But Tran says, you can’t get sick from the vaccine itself, because it contains an inactivated, or dead, virus that cannot cause the flu. For more information about the flu and flu vaccines, be sure to check out our story below.